Looking from a distance it seems like the Canon PowerShot G16 is just a minor update from the previous Canon PowerShot G15, but this isn't exactly true. This DIGIC 5 processor that is used in the Canon Powershot G15 is a couple of years old and as many knows things move faster in the processor world, so when the processor is about 2-3 years old it is close to the end of the products life cycle. The DIGIC 6 processor is a new processor from this year, so it will have leading age performance. 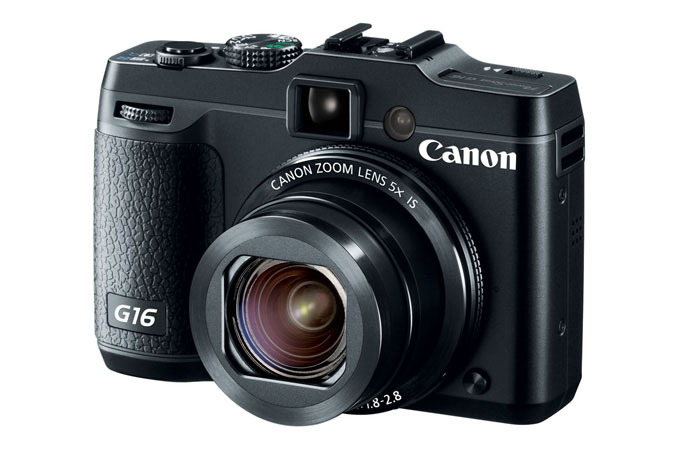 Because of the new processor you can expect better image quality from the Canon PowerShot G16 vs the Canon PowerShot G15. It will be better to process the information that comes from the sensor, so that the dynamic range, low iso performance should be better. We will see once the reviews starting coming on this product, but I would expect a good push in the right direction. One of the main new features of the new processor is the possibility to have a high frame rate when shooting pictures as many of the mirror less cameras also have and the big difference is that it isn't the buffer that limits how many pictures that you can capture in a row, but the memory card. If this kind of technology is moved onwards to higher end products like the digital SLR market then it will make a big difference and something that we sure will hear a lot more about. The last major advantage coming from this new processor is the autofocus speed. Canon claims that you can expect major performance improvements compared to previous versions. Autofocus speed is something that you really notice if it isn't fast, as it can just be that factor that means that you don't capture the right moment. The camera has wifi build in, which also is a new feature. A lot of the cameras that Canon introduces at the moment has this feature. Great to have. The price difference here at the launch of the Canon PowerShot G16 is about $100 at the moment and it might get higher as Canon tries to empty its stock on the previous model. It is a hard choice to save the money or get the new innovations. Depends on who you are. If I were to buy one of these two I would go for the new model.